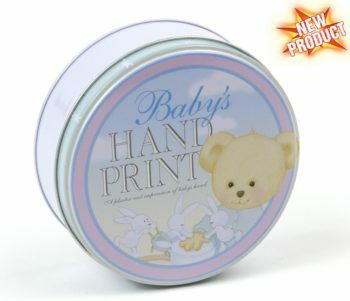 Make a lasting impression of your baby’s hand or foot with the Milestone Collection Baby’s Hand Print Kit. 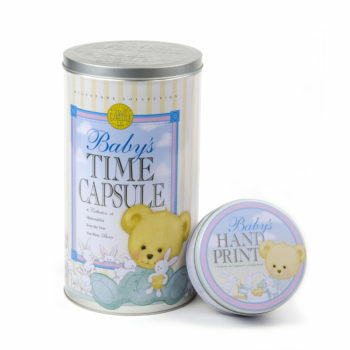 The decorative Hand Print Tin is a perfect companion to our Baby’s Time Capsule, or as a stand alone product. Not only will this lasting keepsake be a treasured memory, but the tin will protect your Baby’s Hand Print and prevent damage. 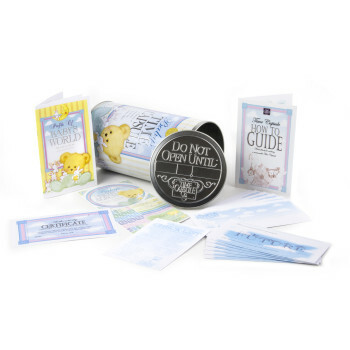 Save Your Baby’s Hand Print Forever with our Baby Handprint Kit! 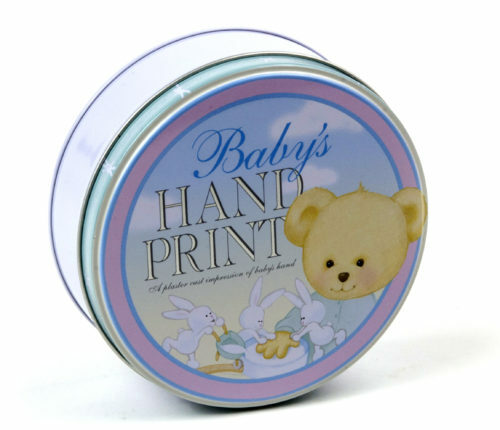 Tin measures 5 1/2 Inches in Diameter and 2 Inches Tall. 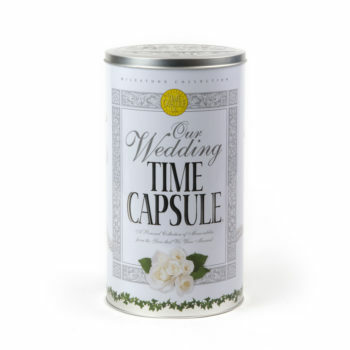 FREE SHIPPING in the USA International order, Please email mark@timecapsule.com with your shipping address for a shipping quote. 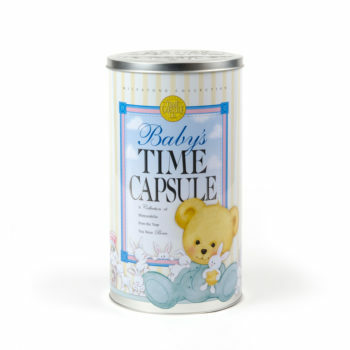 Purchase this at a discount with Baby’s Time Capsule here.